A separate park adjacent to Disneyland® Park, Disney’s California Adventure® Park also contains eight separate worlds where the imagination can take flight. Disney® and Pixar® stories come to life when exploring Cars Land™, Buena Vista Street™, Grizzly Peak™, Pixar Pier™, Pacific Wharf™, and Hollywood Land™. From a race through the desert to braving the rapids, there is something for everyone at this magical place. Play with Woody and Buzz, enjoy a meal at the Hollywood Golden Age eatery, and end the night with the spectacular nighttime World of Color light show, a must-see event. 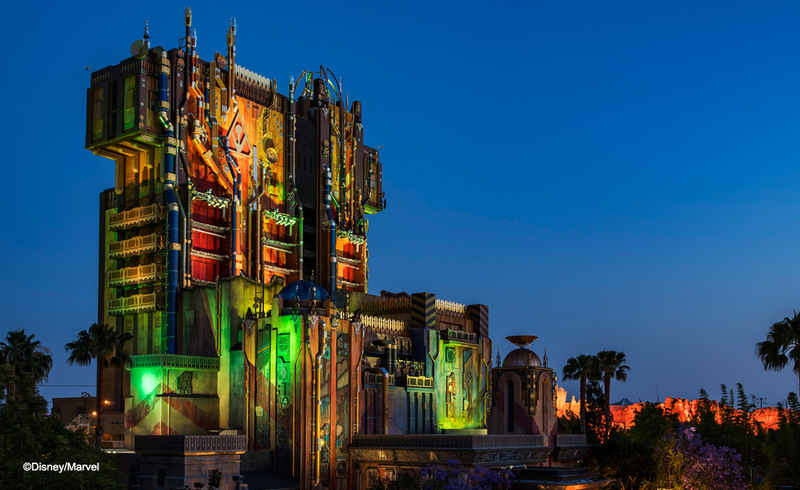 Our hotel near California Adventure® Park provides you with the perfect location to enjoy all that the park has to offer, including amazing dining choices, world-class shows, and rides for any age, including Gradians of the Galaxy – Mission: BREAKOUT! ©Marvel. With numerous dining options within walking distance of our Anaheim hotel, you can enjoy the House of Blues one night and Goofy’s Kitchen® another. From Italian to Japanese and Mexican, there is something for everyone to choose from. We are also close to retail stores, nightclubs and a 12 screen AMC® Movie Theater for your enjoyment. No matter what you choose to do on your vacation after the excitement and thrills of Disney’s California Adventure Park®, our Anaheim hotel provides the perfect location and amenities to meet all your needs.